MidMarket Capital, Inc. represents CEOs of privately held businesses seeking to realize maximum transaction value when selling or exiting their business. We specialize in information technology, software, healthcare IT and technology, and other businesses where a significant percentage of their value is contained in their intellectual property. wants a Wall Street Style M&A process at a middle market fee structure. 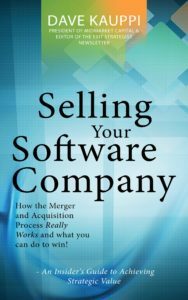 Selling Your Software Company An Insider’s Guide to Achieving Strategic Value Kindle Edition click here for Amazon Link How the M&A Process Really Works and What You Can Do To Win. Selling Your Software Company An Insider’s Guide to Achieving Strategic Value – We explore all aspects of the M&A process, from the planning and marketing to the Letter of Intent, due diligence, and closing, and everything in between. We discuss topics like the subtle language that buyers use in LOI’s that can cost sellers huge swings in value at closing; optimal transaction structures, avoiding punishing net working capital adjustments, negotiating tactics, and much more. This book is a must read for the tech entrepreneur contemplating the sale of their business. 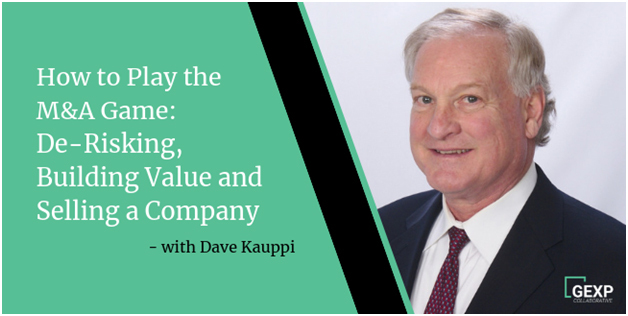 Listen to Dave’s Podcast, “How to Play the M&A Game: De-Risking, Building Value and Selling a Company. Creating a great technology company involves much more than building a great product or service. Much of your success will depend on your business model, influencing customers, overcoming obstacles, employing social media, scaling, leveraging a worldwide workforce, and much more. This curated reading list consists of books we have recommended to clients and ones clients have recommended to us. They will inform, energize and inspire you while improving the odds of you building a successful company. MidMarket Capital, Inc. is seeing business buyers returning to the Market in an effort to achieve greater growth by acquiring technology assets . The cost of capital is at historic lows, so 2016 is an ideal time to be on the market to achieve very favorable valuations. We are recommending to our clients who are considering selling, to sell now and stay on with the acquiring company in a transitional or consulting capacity. We recognize that finding the right buyer is a very important service we provide. After years of deal-making, we have found that deal structure, negotiation strategy, and protecting transaction value through the closing process are even more critical to your success. Our Exit Strategist Newsletter is a free resource that we encourage you to utilize to familiarize yourself with the process and prepare you for your exit. MidMarket Capital, Inc. is a merger and acquisition advisory firm focused on providing strategic advice and transaction services to owners of middle-market companies. Whether you are looking for outstanding results in a succession planning exit, or finding strategic buyers for healthy, rapidly growing companies seeking a partner to provide scale, we find that right buyer. “When I sell my company, how can I be sure that I get the best price and the best deal?” We craft the presentation materials that capture the value of the asset you have grown. We uncover and communicate the value creation potential for the strategic buyers we target. Then we get back to the basics. MidMarket Capital talks with a large number of buyers and “sells” your company. As the process unfolds, we get several buyers to compete. This buyer competition produces the highest and best value the market has to offer. One more thing. When it is over, you know you did not leave money on the table. MMCA’s team is as diverse as our business services. Our team’s business experiences, education and interests shape the MMCA’s culture. Our people, each having a unique set of talents, are key to providing the full range of service capabilities. We are constantly updating our knowledge base with actual experience from the M&A process, new tools to reduce taxes, creative deal structures, valuations, etc. If you would like to subscribe to receive our new Exit Strategist Newsletter. The ten commandments of selling my privately held business selling your business ten steps to maximize value. What if you are approached by a buyer who says, “I would like to buy your company, how much do you want?” Would you have an answer?